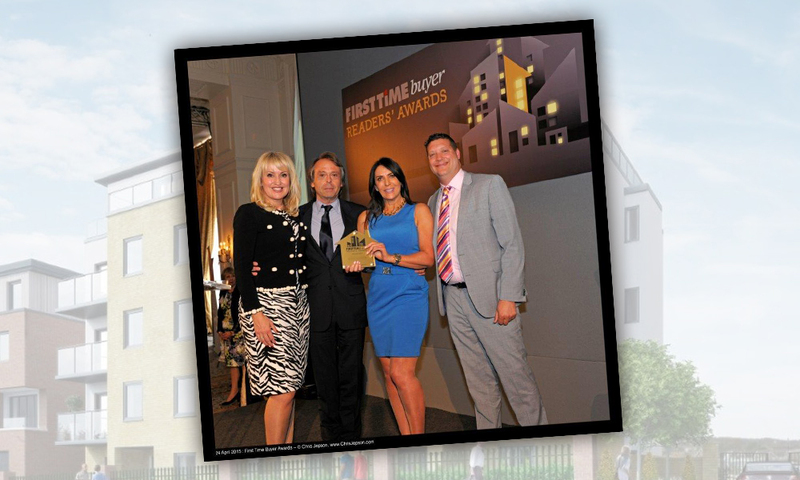 VIRIDIUM, an exclusive collection of apartments located on Frimley Road in Camberley has scooped the top prize at the recent First Time Buyer Readers’ Awards. The national awards, held at the Landmark Hotel in London, hailed Hodson Developments as the winner for the category of Best Medium Development for its ‘exceptional’ work at Viridium. The judges, as well as panel of readers from First Time Buyer Magazine, praised the developer for the appealing design, superb quality and desirability of the stylish new apartments. The apartments at Viridium blend modern sophistication with time honoured construction methods and each home has been individually designed to create a variety of layouts with outstanding build standards and finishes. Allowing residents to enjoy outdoor space, every apartment has either a large private patio, balcony or terrace. Internally the homes are equipped with the most up-to-date high standard specification which combines the efficiency of a 21st century lifestyle within a luxury setting. As well as the thoughtful design of these attractive properties, the apartments at Viridium are available with Help to Buy. Although not an exclusive scheme for first time buyers, the scheme helps anyone buying a brand new home under the value of £600,000 do so with just a 5% deposit. The homebuyer receives a 20% interest-free equity loan from the government which, combined with the 5% deposit, allows them to gain access to more affordable interest rates available with a 75% mortgage.